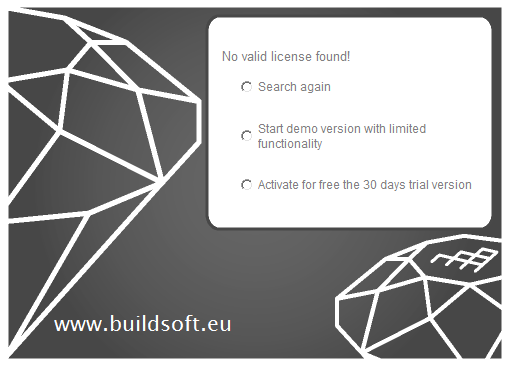 Diamonds starts with a grey screen, indicating the abcense of the license. Also the value of the loads will be fixed to 10kN, 10kN/m, 10kN/m² or 10kNm. Click on the button ‘WebAdmin’. An internet page opens. If no internet page opens, click this link: http://localhost:22350. 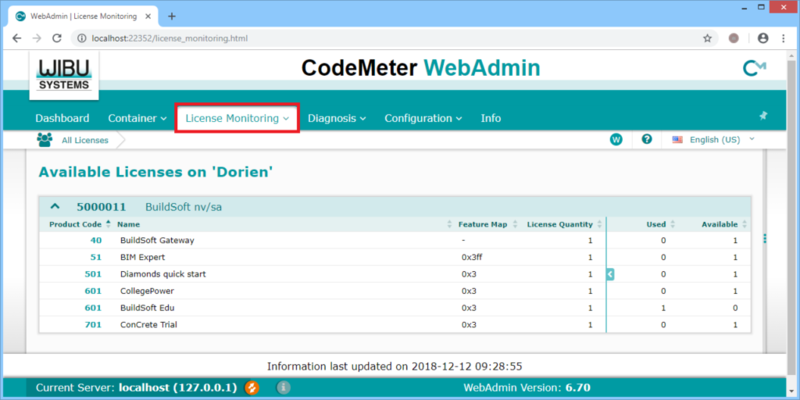 Click on the menu ‘License Montioring’. 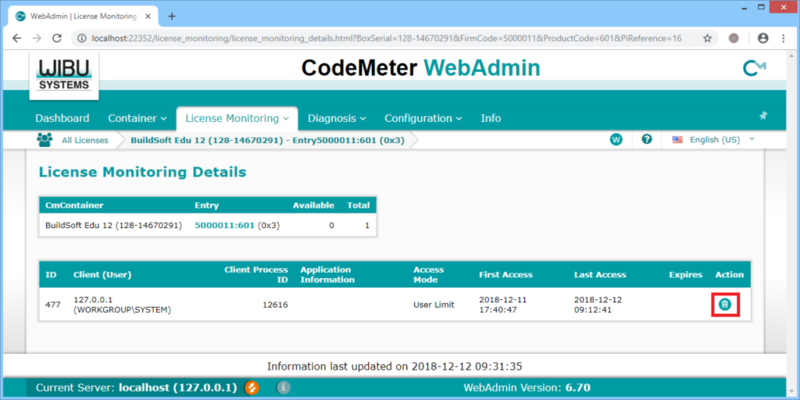 Click on the ‘601’ before the ‘Buildsoft Edu’ license. A new internet page will load. Go to the start-up menu of Diamonds and choose ‘Search again’, or restart Diamonds. The license should be found. Keep in mind that your license will run until the end of September. For the next school year, you can request a new one starting from the 1st of October.